California Veterinarian Insurance. As a veterinarian, you face many of the same risks and potential liabilities faced in any medical profession, which makes it necessary to purchase sufficient insurance to cover any claims against you. 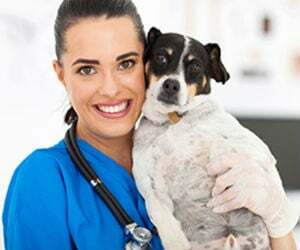 Veterinarians are medical doctors who conduct routine physical examinations of animals, vaccinate them, and tend to their diseases and injuries. Some treat common household pets, while others specialize in the treatment of large farm or zoo animals. Some veterinarians specialize in a specific branch of medicine, such as animal oncology. A business owner's policy for vets makes a lot of sense because it gives your small business three separate coverage types to give your business a buffer of protection against unforeseen losses and claims. This type of policy can also be customized with additional coverage types and riders to meet specific needs you have in your particular practice. This is why California veterinarian insurance is so important. California veterinarian insurance protects your practice from lawsuits with rates as low as $37/mo. Get a fast quote and your certificate of insurance now. What is a Business Owner's Policy for Veterinarians? Liability coverage. General liability coverage with a BOP policy insures your business from claims by injured parties who suffer injuries on your premises. For instance, a client comes into your office with his pet, and he trips over a rug in the waiting room, falling and breaking a wrist. The resulting claim falls under your liability policy, not out of your pocket. Business property damage insurance. The building in which you conduct your business is protected by business property damage insurance under most standard business owner's policies. This protects both the building and the things inside it, including your medical equipment and furnishings as well as the structure. Business income loss coverage. If a covered event causes you to close up shop while repairs are being made, then the lost income you experience as a result may be payable under this type of coverage. For example, if a fire causes the shutdown of your veterinary clinic, then the income you lose while reasonable repairs or relocation is made is paid out to you under this type of policy. Who Needs California Veterinarian Insurance? 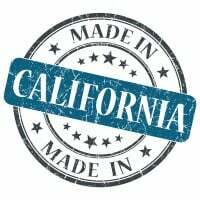 All small businesses, including your veterinary clinic, should carry a CA business owner's policy. In short, any small business that faces potential claims and lawsuits should consider buying the BOP policy at a minimum. Any business owner with assets to protect from damage, theft, or other loss should also buy this type of policy. Errors and omissions coverage. This is professional liability insurance, and as a vet, you may already carry this type of insurance. Because you work with animals, you likely know how easy it sometimes is to make a mistake around an animal that is nervous, energetic, or extremely ill. If this happens, professional liability insurance can pay for any expenses or damages that occur from your error. This coverage also pays for your defense when you go to court. Animal bailee coverage. If an animal in your care is lost, injured, or dies in your care as a result of your negligence, its owners can hold you liable. This coverage pays for expenses that you might incur, including medical care, advertising costs, rewards, and more. This coverage also kicks in to pay for the cost of moving animals from your facility to another due to a covered event. Commercial auto policies. If you drive your vehicle in the course of doing business as a vet, then a commercial auto policy is crucial. This policy protects your vehicle in much the same way as a personal auto policy, but it is designed specifically for businesses. Data breach coverage. Because hackers are always looking for a new mark, data breach coverage is a good idea. If the data you store about your clients is jeopardized, this insurance pays for any related claims. Worker's compensation. Veterinarians with employees need additional insurance coverage for worker's compensation. This type of policy pays your employees' medical costs if they become injured or ill due to a work-related event. In many states, this is a required purchase for employers. While there is no specific insurance package to meet the needs of every business, a BOP policy is a good place to start. Talk to a licensed agent who can review your situation and find the right level of protection for you. Premises liability exposure can be high if customers visit the premises. The customer waiting area must be kept clean of animal waste and loose animals in order to prevent slips, trips, and falls. Leashes and carriers should be required to protect customers and other animals. Known problem animals should be seen during special hours to restrict them from interacting with other animals in the waiting area. If boarding is provided, enclosures should be secured to prevent escape, with each animal boarded separately to prevent attacks by other animals. Escaped animals could attack people or other animals, or cause damage to neighboring properties. Off-premises exposures include visits to clients' premises. The veterinarian's equipment should not be placed in a way that poses a tripping hazard to others. Products liability exposure is moderate if the veterinarian is selling animal food and supplies. The exposure increases to that of a manufacturer if the veterinarian modifies or sells a directly imported product. Professional liability exposures are very high. The primary professional exposure is the failure to correctly diagnose and treat diseases and injuries. If the veterinarian specializes in farm animals, a mistake in diagnosis can result in loss of an entire group of animals. If the veterinarian specializes in treating high-value animals, such as racehorses or dairy cows used for embryo production, the exposure is severe due to the projected loss of income from stud fees or fertilized embryos. Replacement for a misdiagnosed zoo animal may be prohibitively expensive. Veterinarians should be well trained, experienced, and properly licensed. Employees must carry out only the procedures they are licensed to handle. Interns must be carefully supervised. A complete medical history should be obtained for each animal patient, with an ongoing history of inoculations, diseases, injuries, and treatments noted. Owners upset with the outcome or manner of care for their pets may initiate claims for mental anguish. Environmental impairment exposure is moderate due to the potential for air, surface or ground water, or soil contamination from the handling and disposal of biological waste material, including euthanized animals or body parts. The veterinarian must follow all federal and state procedures for disposal. Workers compensation exposure is high due to the unpredictability of even the most domesticated animal. Workers may be injured by biting, scratching, kicking, or other attack. Large animals, particularly those in pain, may crush, gore, or trample workers. All employees must be trained in appropriate restraint techniques. Problem animals should be clearly identified so that appropriate precautions can be taken. Owners should be required to assist as needed. Lifting injuries resulting in back strains or sprains are common, as are puncture wounds, trips and falls, respiratory ailments from inhaling dander, and communicable diseases transmitted by animals. Employees should wear gloves and masks to prevent contamination from bodily fluids, particularly blood. Property exposure depends on the operations. For large animal veterinarians, the premises will be limited to storage of equipment, medicine, and paperwork as most services are performed offsite at clients' locations. The premises for small animal veterinarians and surgical clinics will include offices, operating rooms, and overnight boarding facilities. Ignition sources include electrical wiring, heating and air conditioning, and possibly flammable anesthetic gases. These should be properly labeled and stored away from combustibles such as food and bedding supplies used for boarders. Cleaning equipment necessary to maintain a sterile environment can be susceptible to damage from fire, smoke, and water. Dust and fur from grooming can ignite unless there is adequate ventilation. Poor housekeeping can be a serious fire hazard. Damage to property due to animal escape is a concern. An on-premises crematory or incinerators increase the exposure to fire due to the high temperatures required to consume animals or body parts. There must be adequate clearances as the flue exits the chimney and controls in place to prevent overheating. Fuels used for crematory ovens include liquid petroleum, natural gas, or home heating oil. These must be stored in approved containers. Animals and pharmaceuticals may be a target for theft or vandalism. All animal enclosures must be properly secured. Limited amounts of pharmaceuticals should be kept on premises. Controls should be in place to prevent access to the premises after hours. Alarms are recommended. Crime exposure is from employee dishonesty and money and securities. Background checks should be conducted on all employees handling money. Money should be deposited on a regular basis. Ordering, billing, and disbursements should be handled as separate duties, with audits conducted on a regular basis. The drug PCP and other pharmaceuticals may be a target for theft. Animal anesthetic must be kept under careful control with limited amounts kept on premises. Inland marine exposure is from accounts receivable if the veterinarian offers credit, bailees customers, computers, owned medical equipment, and valuable papers and records for animals', customers' and suppliers' information. The bailees exposure comes from animals left in the veterinarian's care for boarding or treatment. Coverage is necessary as loss due to fire, windstorm, theft or other physical causes of loss would not be covered under the professional liability policy. A veterinarian will often take equipment and tools to off-site locations to perform surgeries or other types of treatments. Duplicates of all records should be made and kept off site. Commercial auto exposure is generally limited to hired and non-owned for employees running errands. If the veterinarian travels to the patient's site, as with farm or zoo animals, the exposure increases. All drivers must be licensed with acceptable MVRs. All vehicles must be well maintained with documentation kept in a central location. Request a free California Veterinarian insurance quote in Alameda, Alhambra, Anaheim, Antioch, Apple Valley, Bakersfield, Baldwin Park, Bellflower, Berkeley, Buena Park, Burbank, Camarillo, Carlsbad, Carson, Chico, Chino Hills, Chino, Chula Vista, Citrus Heights, Clovis, Compton, Concord, Corona, Costa Mesa, Daly City, Davis, Downey, El Cajon, El Monte, Elk Grove, Escondido, Fairfield, Folsom, Fontana, Fremont, Fresno, Fullerton, Garden Grove, Glendale, Hawthorne, Hayward, Hemet, Hesperia, Huntington Beach, Indio, Inglewood, Irvine, Lake Forest, Lakewood, Lancaster, Livermore, Long Beach, Los Angeles, Lynwood, Manteca, Menifee, Merced, Milpitas, Mission Viejo, Modesto, Moreno Valley, Mountain View, Murrieta, Napa, Newport Beach, Norwalk, Oakland, Oceanside, Ontario, Orange, Oxnard, Palmdale, Palo Alto, Pasadena, Perris, Pleasanton, Pomona, Rancho Cordova, Rancho Cucamonga, Redding, Redlands, Redondo Beach, Redwood City, Rialto, Richmond, Riverside, Roseville, Sacramento, Salinas, San Bernardino, San Buenaventura, San Diego, San Francisco, San Jose, San Leandro, San Marcos, San Mateo, San Ramon, Santa Ana, Santa Barbara, Santa Clara, Santa Clarita, Santa Maria, Santa Monica, Santa Rosa, Simi Valley, South Gate, Stockton, Sunnyvale, Temecula, Thousand Oaks, Torrance, Tracy, Turlock, Tustin, Union City, Upland, Vacaville, Vallejo, Victorville, Visalia, Vista, Walnut Creek, West Covina, Westminster, Whittier, Yorba Linda, Yuba City and all other cities in CA - The Golden State.